Welcome to the blog for Leigh’s, which is an upscale women’s boutique in Grand Rapids, Michigan. Leigh’s carries Alexander McQueen, Etro, Stella McCartney, and many more luxury brands. This blog will keep you up to date with trends, news, and all things fashion. “Pre-Spring's folk embroidery is a true labor of love, these pieces are sure to become modern heirlooms. Crafted in Delhi, our beloved range of cotton linen tops, dresses and skirts feature hand stitched pleating and handmade crochet lace. Business outfits doesn’t have to mean boring! Shop these looks online and in-store! Introducing activewear ar Leigh’s that will have you feeling fit and fabulous while you get your workout on. Even if you don’t quite make it to the gym, why not look stylish while running errands and socializing in our fabulous athletic brands: The Upside, Thrive Societe, and Alo Yoga. Feel the romance with soft colors, pristine whites, and famine florals that will sweep you off your feet this spring. Call it what you want, jumpsuit, boiler suit, all-in-one….you just need one! There’s a fresh take this season on the meaning of dressing head to toe. Thrive Société is an American athletic brand that is geared toward a social and fashionable lifestyle. Created in the west coast, Thrive Société curates products that go hand and hand with yoga, Zumba, pilates, and other workout activities. Their mission statement is “to keep people moving, thriving, and looking good,” and they accomplish that with luxury sportswear that includes shorts, sports bras, tanks, sweaters, and leggings. Canadian native Victoria Hayes started in pre-med but realized her love for fashion prevailed. She left McMaster University and transferred to Parsons where she won the women’s wear designer of the year award in 2014. Her designs are inspired by all that womanhood encompasses; romance, strength, gentleness, and individuality. Her debut collection was in fall of 2016 and since then her designs have been worn by Lady Gaga, Ariana Grande, Alicia Keys, Cardi B, and many other prestigious women. Athletic Chic is the concept of making your athletic wear non-athletic. It started as a big trend but it’s been around so long we wonder if it’s here to stay. Bloggers, celebs, and your local fashion gurus have paired tracksuits with pumps, made biker shorts fashion forward, and created a movement where you don’t have to be in a dress to be glam. We carry great brands like Pam & Gela and Ugg that will have you athleisure chic. Wearing sequins for the holidays are sort of like florals for spring. Not groundbreaking but will for sure make you stand out! Pairing a sequin garment with something more simple like a cashmere sweater or dark wash jeans to keep it cute but casual. All of your favorite models, socialites, and celebs have been spotted wearing Ganni. As seen on Jessica Alba, to Alexa Chung, and Kendall Jenner, Ganni has proven to be the go-to contemporary brand. We currently carry the brand in the store so this weeks designer spotlight is on the Copenhagen based brand that has created a name for itself. Ganni was previously owned by an art gallery curator and was bought out by Ditte and Nicolaj Reffstrup in 2009. In an interview, Nicolaj explains that “We don’t do three or five-year business plans, we have a vision of what we want to achieve and then do a one year plan [focusing on that] – which is very similar to tech industries. You don’t know what will happen tomorrow.” While he has a history in IT, his wife worked as a fashion buyer which made them the dream team when acquiring the brand. The lure of Ganni is created by the easy to wear, down to earth, well-made garments the brand has created. To make things even better, Ganni is environmentally friendly by using material and creating the garments with no release of carbon dioxide to the atmosphere. Ganni has found a sweet spot between high and low end by having reasonable pricing that doesn’t sacrifice quality. Become a #GanniGirl at Leigh’s! Perhaps we are jumping the gun but we thought we’d get you thinking about potential holiday gifts. In this video we have featured Nest candles, Fresh lip products, and lastly, Ugg pajamas and slippers. Stop in to check out other holiday gift sets! Yes, it’s October, but wedding season isn’t over. Our stylists have been asked what to wear to a November wedding, what is casual chic, what is cocktail casual, and many other questions so we thought we’d clear the air. Casual chic is a newer term thrown out to wedding guests that means to wear some of your finer items but not a full-on cocktail dress. This is a hybrid between dressed up and dressed down so a blouse, dark wash jeans, and heels would suffice. You could also pull out a casual jumpsuit, shift dress, or romper to fit the theme. The main goal here is to look put together, but not professional or formal. Cocktail casual is the step under black-tie. It’s the gray area that allows you to wear that one dress that you’ve been questioning if it’s “too dressy” or not. This theme is perfect for your LBD, so be sure to keep dresses above the knee. And lastly, be sure to pair your LBD with stand-out jewelry and your fancy shoes to make a statement. What to wear to a fall/winter wedding? Our stylist gets this question a lot now that the season has shifted into colder weather. First things first, a wrap or pashmina will save your life. You can get away with wearing a short sleeved garment as long as you have a wrap to shield you from the cold. Midi longsleeved sweater dresses are always in and are perfect for November weddings if you want to go the dress route. Ideally, a long-sleeved jumpsuit would be perfect for this time of year because they are more formal and will keep you warm. The alternative to wearing a jumpsuit to stay warm would be adding a fur jacket. As far as shoes you can wear over the knee boots with a heel to stay stylish and warm if you still want to wear a dress. The Italian brand MSGM was founded in 2009 with a mission statement of “never look back, it’s all ahead.” MSGM positioned themselves as the first contemporary, streetwear Italian brand. Unlike the Italian brands that came before, MSGM was the first of its kind to use logos paired with high fashion construction and tailoring. Massimo Georgette didn’t follow the traditional path to fashion and created the brand as a DJ and was able to pull inspiration from that sector of his life. In 2015 he was named the creative director of Pucci, but made an exit in 2017 to put his focus back into MSGM. In MSGM Prefall 2018 collection we saw an array of plaids, denim, bold color blocking, and oversized garments. This year our 13th annual Couture for a Cure was held at the Van Andel Institute with 600 people in attendance. We curated outfits to fit the four themes of man o man, party people, acceptable 80’s, and motley hues. Lastly, we featured fashion designer Lourdes Chavez and milliner Christine A Moore. It’s officially “you need a coat on” season in Michigan, so what better way to kick off the first few days of fall than to tell you how to stay warm while looking the IT girl. Over the past few seasons I’ve observed street style from fashion week and I am here to tell you that the only thing your wardrobe needs to stand out is a FABULOUS coat. So here are a few items we have in store and online for you to step into your most fashionable potential. It’s september and though we have had some warmer days, we have also had some chillier ones so what better way to transition than to get some new shoes! I used to struggle with transition shoes because it’s not hot enough for sandals, but not cold enough for boots but it’s all about what you pair the outfit with. Below we’ve listed different shoe options for this time of year and what you could wear them with. All styles are available in store or online! For the more athletic woman in you, we have these lightweight Marni Techno sneakers. these sneakers were created with rubber and leather with lace-up detailing. Marni is known for prints and sophisticated designs so these will add the classy girl feeling without the discomfort of high heels. 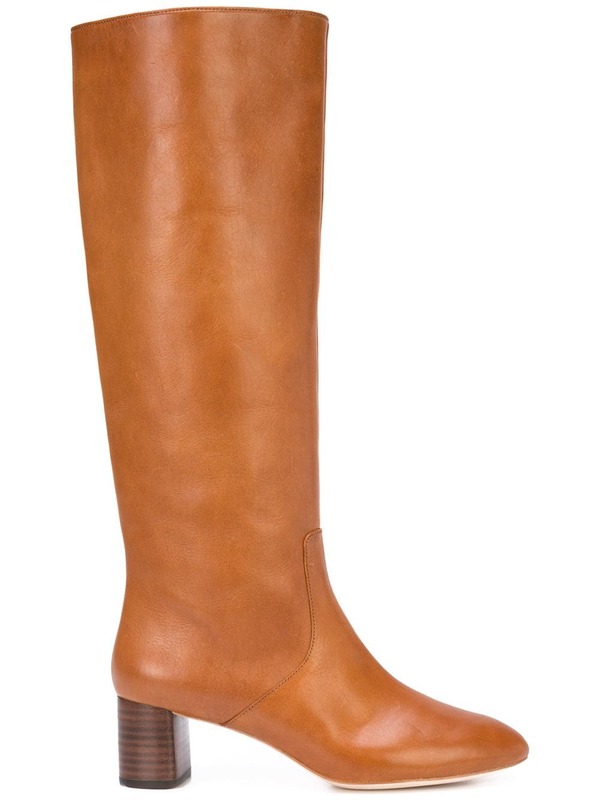 Here we have these Cognac brown leather knee-high boots from Loeffler Randall. These boots feature an almond toe and a block heel that will allow you to walk with ease and confidence. Pairing these boots with a shift dress that is above the knee will keep you cool but still fashion forward. For the perfect pair of slip-on mules, we are featuring these black leather Schutz with knot-detailing at the top. These have a flat heel, however the small lift gives your feet support so it will not feel like you’ve been walking around barefoot all day. 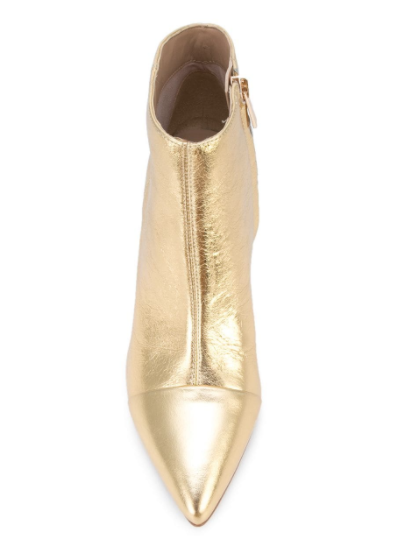 Sam Edelman is known for unique, comfortable shoes and these gold-tone leather metallic ankle boots prove to be nothing less. To add a little drama to your fall wardrobe you can pair these boots with ripped boyfriend jeans, an oversized blazer, and a bodysuit under. Lastly, to stay on trend with the animal print we have these Stella McCartney platform sneakers. The sequins add the perfect amount of fun to these and you will for sure be stopped and complimented. You can pair these with denim and leather jacket or keep it comfortable in a knit set. September is denim month at Leigh’s so we thought we would highlight all the brands we carry. We have skinny jeans, “mom jeans”, and everything in between. We carry a large assortment of jeans including Good American, DL1961, Parker Smith, and all the brands listed below. Stop in this month and you can receive $20 off one pair of jeans! Frame was created in 2012 with hopes to capture the European style in the LA market. Frame is a big brand for street style, and a lot of models choose frame as their denim of choice when they aren’t gracing the runways. Frame offers cuts such as Le High Skinny, Le Mini Boot, Ali High Rise, and many others. In 2005 J Brand was founded in Downtown Los Angeles and was a trailblazer in premium denim. J Brand focuses on sustainability and makes a conscious effort to be aware of how much water and energy used to create premium denim impacts the world. J Brand offers the Houlihan skinny cargo, the Maria high-rise skinny, and the trademark Photo Ready denim, and many other styles. Current Elliot was created in 2008 with hopes to capture style from the past with a current edge. Current Elliot has collaborated with Marni, DVF, and many more luxury brands. 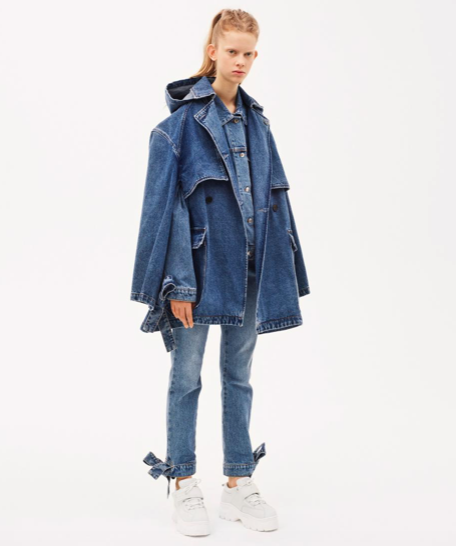 Current Elliot originally set the tone in making staple boyfriend jeans but has since ventured into all different styles, silhouettes, and washes. McGuire Denim was created as a nostalgic nod to 1998 in light of the owner, Marianne, spending the year in jeans that captured the fun and destruction her life exuded. The name came from her step-dad as he was reading articles about travel during his cancer treatments. McGuire is all about timeless, romantic, and well-crafted garments and carries various silhouettes, washes, and cuts.